Please join Mountain Rain Zen Community in a morning of meditation, poetry, art and chanting to celebrate the Earth and express our care and gratitude for all she gives us. Refreshments to follow. Everyone welcome. A sweet or savoury snack to share. A contribution to the Earth Care Market—You are also welcome to “shop”. The Earth Care Market in the entry hall will run through the month of April. Proceeds will go to local non-profit organization devoted to caring for the earth, and living in harmony with its plant and animal inhabitants. Earth Care Market donations: Crafts and art items may be marked with minimum suggested donation. 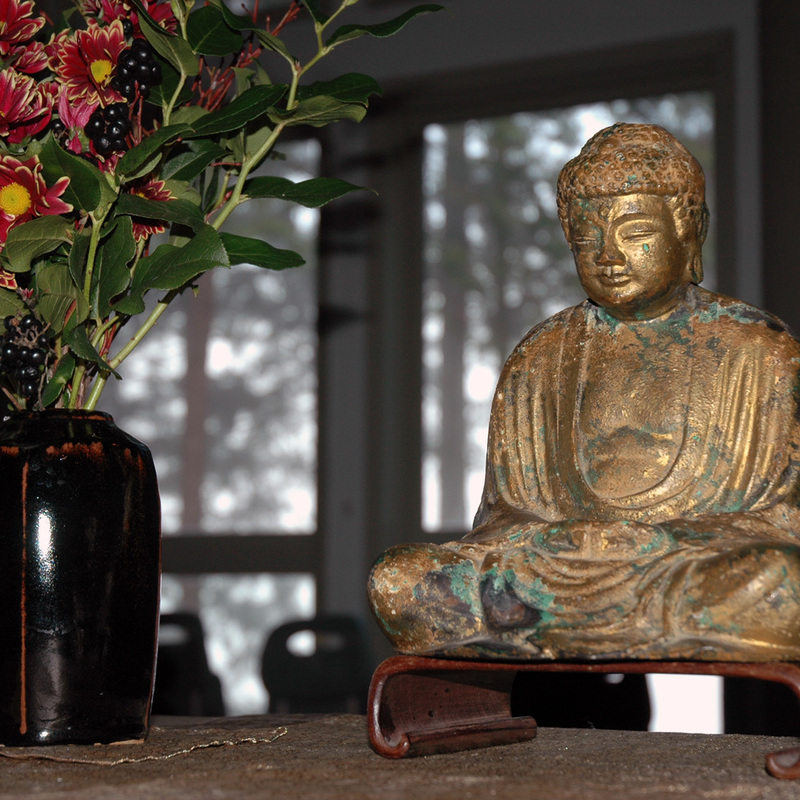 Quality gently-used Buddhist items, decorative items, and books are also welcome. Due to space limitations, please no clothing or kitchen items. If donations are not suitable they will be passed on to a thrift store. Practicing on the Edge: "Finding freedom where fear and courage meet"